The Tripura state unit of the Congress has come down heavily on the Bharatiya Janata Party (BJP) led state government Budget claiming it ‘depressed’ the people of the State as it is unable to provide any relief during the time of high inflation. 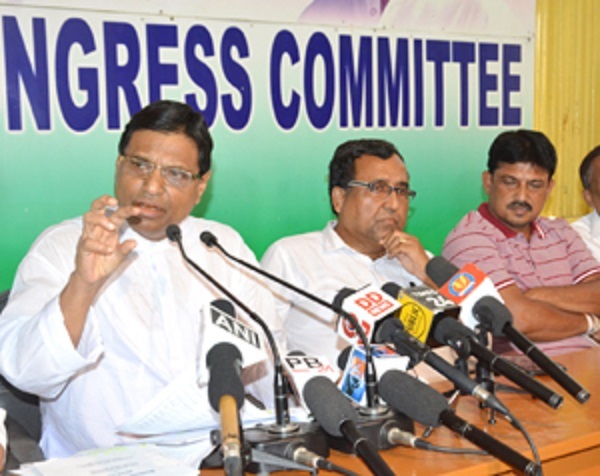 Addressing the media at Congress Bhavan in Agartala on Thursday afternoon, senior Congress leader Gopal Chandra Roy said that the Budget which was placed on Tuesday last, is nothing but a copy of previous Left Front government’s anti-people budget and for the most part the Budget are ‘copied from their predecessors’. The Tripura Congress also demanded immediate roll back of the decision for hike of sales tax on fuel for the better interest of the people. Claiming the Budget as anti-people, Roy said that before Assembly elections, BJP had promised the people of Tripura to hike different social allowances of the State Government and hike the wages of MGNREGA to Rs. 340, but they did not provide sufficient allocation of funds to hike the allowances and wages. Roy also claimed that the State Government also betrayed two lakh state government employees and pensioners through assurance of implementing seventh Central Pay Commission. Roy also alleged that during the regime of BJP-IPFT government, severe food and job crisis are prevailing across the State and the government has totally failed the control the law and order situation of the State.